What: A New York State and National Historical Site. Beth Joseph is the oldest Synagogue in the Adirondacks. The site recently celebrated its centennial. Where: Lake Street [Route 3], Tupper Lake, New York, Franklin County. Click here to add your own memory of Beth Joseph Synagogue to our guestbook. Reminiscent of synagogues in the rural regions of Eastern European countries from which ancestors of the Jewish settlers of the Adirondack Mountains migrated in the late nineteenth century, Beth Joseph is an architectural gem and a prized landmark in the woods community of Tupper Lake. Founded in 1905 to serve the few Jewish families who lived there year around, the congregation never exceeded more than 35 families and the building was closed to the public for nearly four decades in the mid-century. 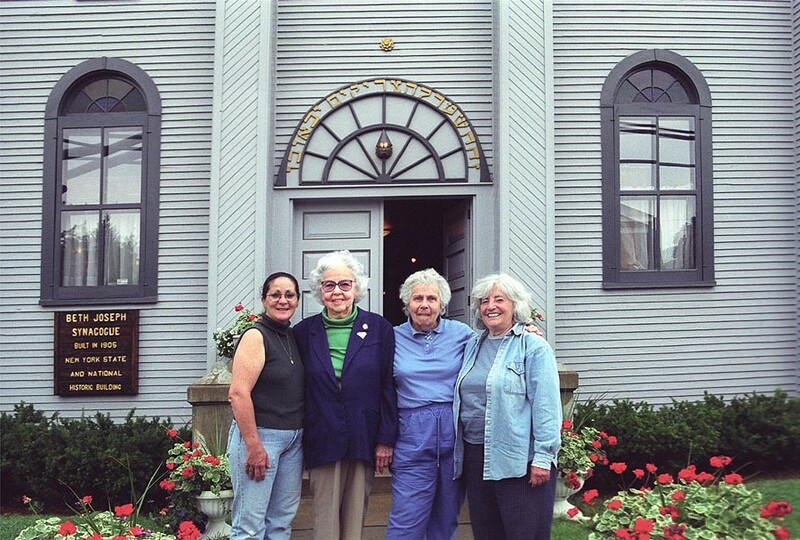 In the 1980s a local effort to raise money to restore the building and its contents, spearheaded by women who are descendants of the synagogue’s founders, was very successful. Since that time, the synagogue has had Friday evening services in summer months and is the home to concerts and gallery exhibits during the same period. The synagogue is home to a small museum of local Jewish history and religious artifacts from local families.